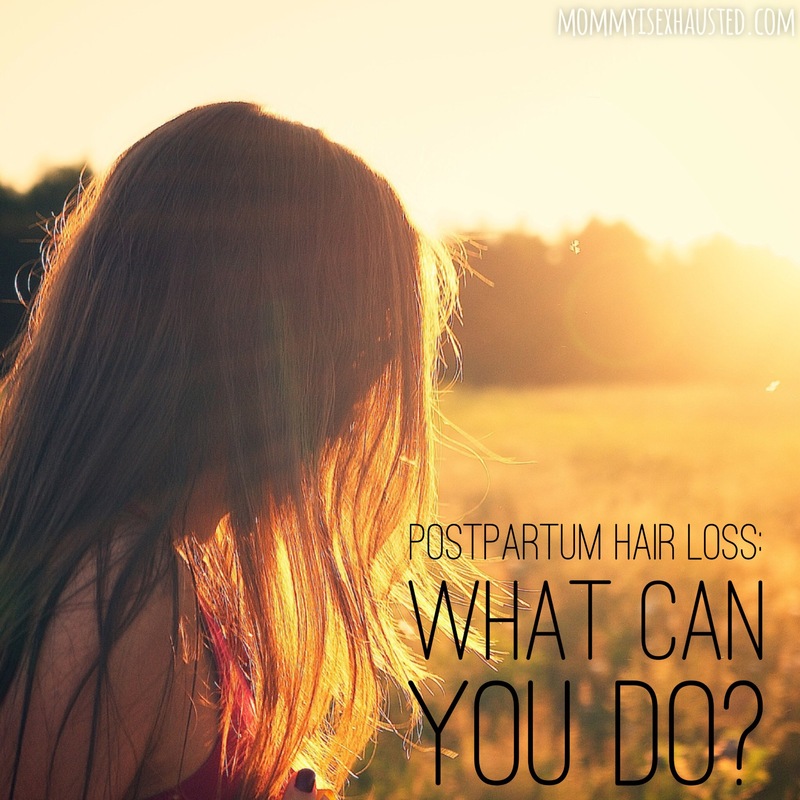 Postpartum Hair Loss: What can you do? After a stressful few months leading up to the birth of my daughter, a stressful few weeks after and an TON of stress in the months after that… I had A LOT on my plate. There was really no surprise that my hair was falling out! Fortunately, I got a handle on most things, including the hair, and have been recovering in all aspects of my postpartum whirlwind. I thought I would share a few things here that I tried and seemed to work! I know that most of us moms are willing to try anything when something is worrying us. Maybe my experience can help you. Most importantly, hang in there. It all gets better. The hair, the lack of sleep, the anxiety… all of it. It is all worth it. First thing is first. Childbirth can really throw off your thyroid. Sometimes excessive hair loss can be a sign of a thyroid issue. If your postpartum hair loss is excessive, talk to your doctor about testing your thyroid. It is a simple blood test and you get the results back quickly. Once you rule out a thyroid issue you can proceed with other ways of preserving your locks and stimulating new hair growth. No more pony tails guys! When you’re losing hair by the second, especially at the hair line, the last thing your scalp needs is a big pony tail pulling on your fragile hairs. Pony tails can be damaging without the added hormonal hair loss. Too-tight pony tails/buns (the official new mommy hairstyle. I say this lovingly. It is easy and keeps your hair out of the way!) can actually cause a form of hair loss known as traction alopecia. If you’re shedding post pregnancy, tying your hair back In a bun or pony tail is only going to make things worse. If you MUST tie your hair back, try to do a loose, low pony tail. This will be just enough to keep the hair out of your face or your baby’s hands without pulling so hard on the scalp. For me, I took fewer showers. It was less traumatizing. It was more convenient. I didn’t have to pull on my hair, tie it up in a towel, etc. I think this saved my sanity more than anything. Hair seems to come out in clumps in the shower. Fewer showers is a win win. When I did shower, I would get out and gently towel dry my hair. I tried not to pull on my scalp very hard. I dried it just enough so that it wasn’t dripping and then let it air dry. I did NOT tie it up on top of my head like I am so used to doing. (A friend from college jokes with me that this is my preferred hairstyle. I have been known to tie my hair up in a towel and fall asleep with it like that. Drying and styling is too much work sometimes ha!) To brush my hair I got a wide tooth comb. This was effective in getting out tangles without ripping at my scalp. The hair will still come out… but it doesn’t get caught on tangles and rip even more hair out. I was so desperate to find a solution to my hair loss that I started frantically googling. I wanted to find something that would possibly help with hair regrowth but wasn’t full of chemicals/toxins. 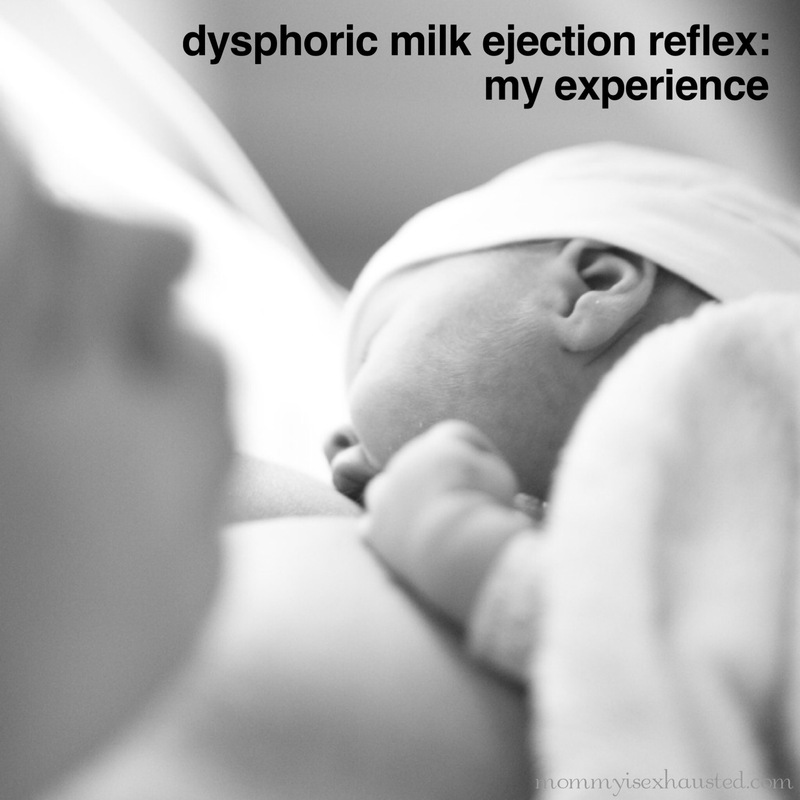 I was breastfeeding and wanted to stay as natural as possible. I found a really great shampoo on Amazon for hair loss by Honeydew. I linked to it because I believe in it and I love it. I bought this shampoo and my hair started to regrow after a few washes. It could have been coincidental of course… but even so– this shampoo smells incredible. It is made with evening primrose, sesame and rosemary oil. I love this stuff! It makes my hair feel healthy and the smell is fantastic. My husband is now using it too! Also, recently I purchased their Hydrating Conditioner Mint & Tea Tree Oil For Dry and Damaged Hair as well and when I use it my hair looks so shiny! And of course, like the hair loss shampoo, the smell is wonderful! After I accepted that I would have to be done with breastfeeding (long story), I switched out my prenatals for Hair, Skin and Nail Vitamins. I liked the taste of these vitamins. I think they were beneficial, even though I am not a fan of gummy anything. A couple of the reviews aren’t favorable for them — but they were fine for me. The raspberry taste was pretty good. The important thing is just getting on a vitamin with Biotin. When I spoke with a friend who is a dermatologist she recommended taking Biotin. I still take these every now and then. It is important that in the postpartum months you pay close attention to your nutrition. Eating healthy is SO important. It is so easy to barely eat or just eat fast food/other junk. Keeping a balanced diet is good for mental and physical health, especially with a newborn! As I’ve already mentioned, eating right is important. Some postpartum hair loss can be attributed to slight iron deficiencies. Eating iron rich foods can give you healthy hair and can also make you feel better! I tried to focus on eating iron rich foods right after having my kids when I was dealing with postpartum bleeding. I even make a smoothie now, heavy in spinach, during my period weeks. I aptly refer to it as my “my period smoothie.” I’ll include a recipe in a future post ha. (Maybe I should work on the name lol). For more healthy-hair ideas check out this WebMD slideshow. Another thing to consider when it comes to diet is that as important as it is to eat the right foods, it is also important to not overindulge in the wrong foods. Foods high in selenium can cause hair loss. High selenium foods include Brazil Nuts, certain meats and seafood, seeds, etc. A balanced diet is always best. The postpartum period is very hard for many women. Hormones are out of control. Your body is desperately trying to find balance while you’re not sleeping, breastfeeding, eating sporadically, dealing with life, etc. It is difficult! Personally, I dealt with postpartum anxiety and OCD. The stress I felt was greater than any stress I’d ever experienced (For more specifics you can visit The Glimmer.) My psychiatrist mentioned to me that my hair loss could be more significant due to stress. I’m not sure, but I think she was right. It is important to get a handle on stress for mental and physical wellness. I found mindfulness meditation and therapy helped tremendously during this time. I also went on Prozac. I was reluctant to do this, but it ultimately made a significant difference. It gave me the ability to function. If your stress is more manageable your body will respond more positively. Perhaps the best thing you can do in the battle of postpartum hair loss is simply wait. The hair WILL come back. Estrogen levels need time to balance out. Your body just grew another life! The changes are tremendous. With time, your hair will return to a semi normal state. In the meantime, keep up with trims, part your hair differently or try out a new hairstyle. Mask the hair loss until it starts to return. Most importantly, just remember that you’re your own worst critic. People kept reassuring me that they barely noticed my hair loss. They weren’t paying attention to it. I know that my husband fibbed a little to make me feel better– but really, when I look back on photos, after parting my hair down the middle rather than the side, the hair loss wasn’t the giant deal I thought it was. And it did grow back, just like everyone said. Hopefully these tips will help 🙂 If you have other products you love, ideas for dealing with hair loss, or any other pertinent info, feel free to comment! I would love to hear your stories.